This is our next article on FAQ series. Today’s edition is CARROTS. Here are some of the questions generally asked about carrot growing. Which variety of carrot should I plant? If your soil does not have very good drainage capacity growing shorter varieties is best. For a deeper and loose soil, you can always select the longer varieties. Read more about soil classification. Though most of the time carrot seeds are planted very closely you need to thin them after germination. For normal loose soil two plants for every one inch of soil is ideal. If the soil is heavy and tight you need to give more space. Carrots are biennial. They grow from seed to flower-producing plants over two years. Carrots or many other biennial crops, such as cabbage, will produce seed stalks the first year if young plants are kept in cold weather. Carrots which produce seed stalks often lack flavor, are woody and have poor texture. What is the best soil type? 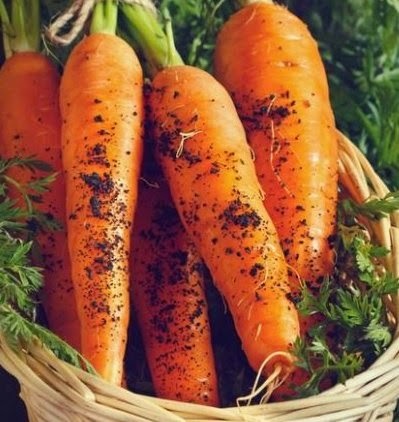 A light sandy or loamy soil is ideal for growing carrots. For more details Read carrot growing tips. By definition, these are small immature carrots that are pulled before reaching maturity. Nowadays there are referred to several varieties of carrots which are smaller in size upon maturing. 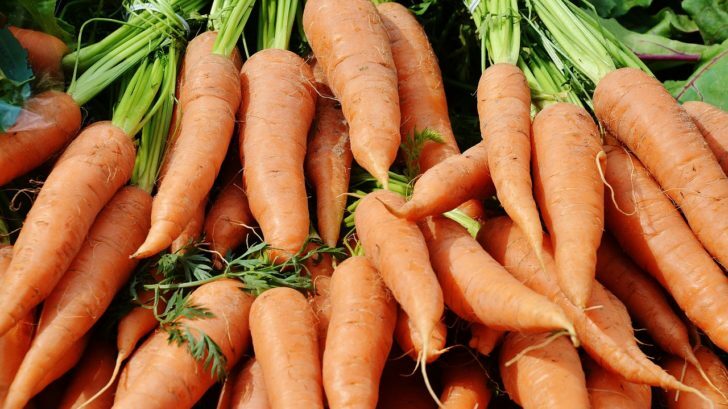 What is the health benefit of eating carrots? Carrots are good for skin. It helps in fighting infections, preventing wrinkles and delay the aging process. Due to the presence of beta-carotene, it helps in keeping good eyesight. Also, it has been reported to fight against cancer. Why my carrots taste bitter? In a carrot, there is both terpenoids and sugar. The presence of terpenoid makes the carrot bitter. During its growth terpenoid develops earlier than sugar. So if you harvest your carrots too early it will have a bitter taste. In some species, the quantity of terpenoid is far greater than others. Why do my carrots are bolting? Carrots are a biannual plant. That means they flower in the second year of planting. But if you see them flowering in the first year itself that is due to the fact that there might be a change in temperature or a change in day length. Also growing carrots throughout summer can make them prone to bolting. There are several bolt-resistant varieties which you try growing if you want to grow them in summers. You can. But probably you should not. Carrots actually don’t do too well in transplanting. They are much more erratic. Why do carrots split or crack? Inappropriate watering is the major cause of splitting carrots. If you don’t like the split, make sure the soil is moisturized evenly. Adding coconut coir or peat moss to the soil can solve this problem. Why there are galls and swelling in the roots of the plant? It is called a disease caused by root-knot nematodes. Click here to read more on this. Have any more questions about growing carrots? Please post it in the comment box. We will be happy to answer those.